The Wine Tram covers a large area of the Franschhoek wine valley. With eight different lines and stops at more than 20 wine farms, from large-scale producers to smaller family-owned cellars, you are guaranteed to find something for every taste and fancy. A journey on the wine tram is like time travel as you’ll be transported about in a Victorian-style tram complete with good old fashioned manners. At the ticket office, you’ll receive a ticket with your name on it and afterwards the friendly and thoughtful staff will do everything possible to ensure that you have the time of your life. Guided tours and blankets when the weather is chilly will make you feel at home right away. The unique experience of visiting wine farms in an open tram is much more exciting and convenient than renting a car, plus you won’t be missing out on meeting some of the locals and experiencing Franschhoek hospitality while you travel. Feeling the fresh air on your face and getting unparalleled views of the area is an unforgettable and unique experience (don’t worry, they have roll-down transparent awnings in case of bad weather). The route combines trams, busses and trucks for hopping from farm to farm, and departs every hour. You can plan out your route and decide how long to stay at each farm. You’ll be spoilt for choice with some of Franschhoek’s, if not the country’s, finest wines on this route. From full-bodied reds, to light whites and sparkling wine, you’ll be able to taste a wide variety in one day for as little as R20–R50 per farm. In addition, many of the farms offer cheese and meat platters, with some even going as far and chocolate, Turkish delight and pizza pairings with the wine. 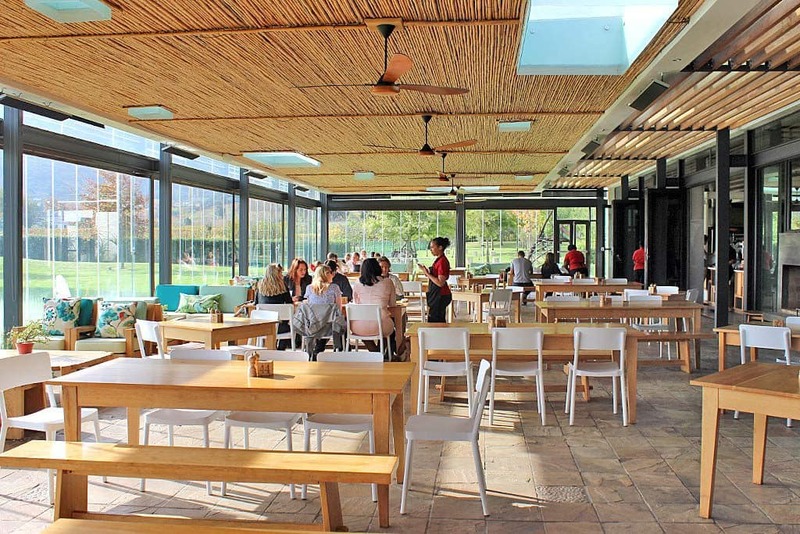 Booking is essential and highly recommended if you’re planning on having lunch in the valley. With beautiful blue mountains, ancient oak trees and historical wine farms as far as the eyes can see, the Franschhoek wine valley is a magnificent place to visit. Established nearly 300 years ago by Protestant refugees who fled religious prosecution in Europe, the valley has a rich history with many stories to be heard. The tram tracks were originally laid in 1907, but the environmentally friendly tram we know and love today has only been running since 2012. You’ll definitely want to have your camera charged for the dozens of picture-perfect moments along the way as many wine farms allow you to walk about and explore. The Wine Tram also offers group bookings, customised tours and transit from Cape Town, visit winetram.co.za for more. 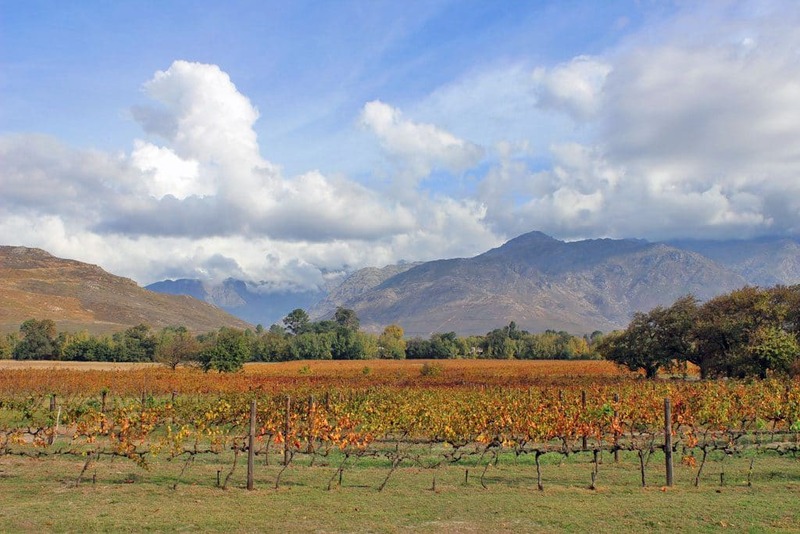 Also, read our guide to Franschhoek in one day.